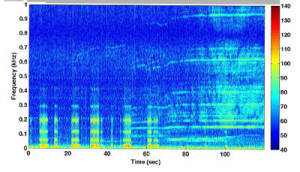 We invite you to listen to and learn about the sounds of gray whales and other wildlife recorded in Laguna San Ignacio. 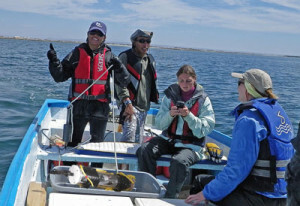 Our researchers are preparing for the 2016 winter research at Laguna San Ignacio. We want to express our appreciation to our sponsors for making this research and conservation program possible. We hope you continue to support our program and as the end of the year approaches, that you will consider making a donation to support our research in the coming year. Your support is critical to the success of our program. The easiest way to make a donation, is to “Click” the DONATION tab at the top of this page. This will lead you to our Project Page on our sponsor’s website – The Ocean Foundation. Or, you may send a check made out to “The Ocean Foundation – LSIESP” to: The Ocean Foundation, 1320 19th Street, N.W., 5th Floor, Washington D.C. 20036. 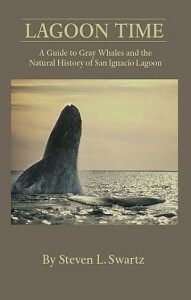 Another suggestion is to purchase the book “Lagoon Time: A Guide to the Gray Whales and Natural History of Laguna San Ignacio” directly supports our research program. This book is available from Amazon.com and from Sunbelt Books. We hope you visit Laguna San Ignacio in 2016!